Comedy and song become one in My Left/Right Foot, a comedy musical which tells the story of a local amateur dramatic company who attempt to perform an adaption of My Left Foot. 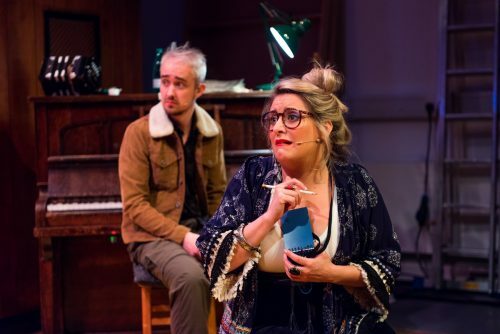 The play, directed by Birds of Paradise Artistic Director, Robert Softley Gale gives both a funny but sometimes brutally honest message to the audience that disabled actors should not be ignored, they are as important as able-bodied actors. This message is conveyed by the cast of eight actors as they portray a group attempting to win a local one-act-play festival with an adaption of My Left Foot. Slapstick comedy is present throughout, pulled off brilliantly by the cast using both a hilarious and moving script and also through equally humorous and catchy songs written by Scott Gilmour (lyrics), Claire McKenzie (music) and Richard Thomas (music and lyrics). I felt emotionally involved throughout the piece as there were several situations in the play which I have encountered myself. Such scenes include one in which an aspiring disabled performer is told he cannot play Christy Brown as he has cerebal palsy. Although this can be a difficult situation to show onstage it is again pulled off effortlessly by the cast. 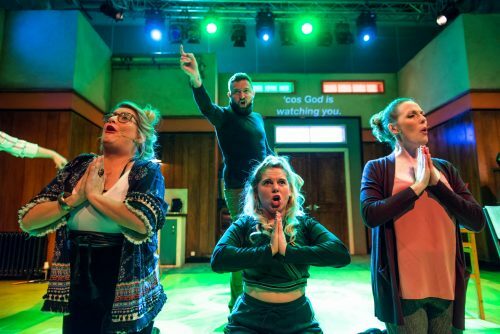 With a mix of moving moments, brilliant comedy and extremely catchy songs this is a show which must not be missed.